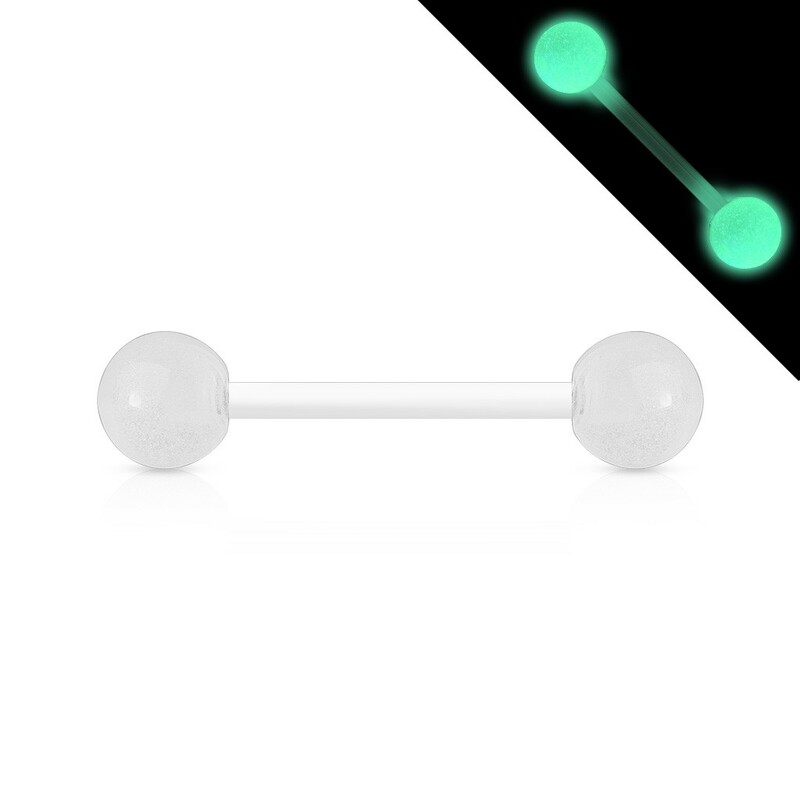 These barbells are completely made out of glow in the dark bioflex acrylic. Charge the piercing before you put them in a few hours under a bright light and anjoy for the next few hours a glow in the dark piercing. Bioflex acrylic is very flexible and also doesn't damage your tooth enamel. 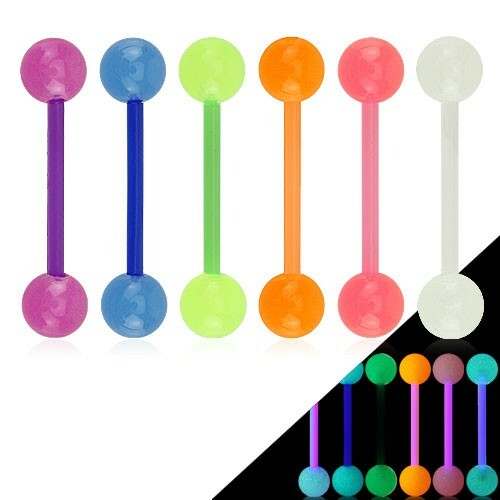 Please note that when you bite on the piercing or play too much with in your mouth it can brake.